Credit cards are great tools for me to better manage my finances. There is ease of tracking my expenses as there is always a record of my spending. I also use credit cards to get bonus interest on my savings plus get rewards in the form of cashback and miles. In this post, I will share the credit cards I have and how I use them in the right way to maximise the benefits. Let's begin. The first card I have is the SCB unlimited card. 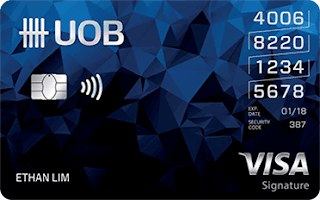 This card is straightforward to use as it just gives 1.5% cashback on all spending. There is no minimum spend and no cap to the cashback given. I use this for most of my spending to make sure I get cashback on every single cent I spend on. I seldom use cash to pay for anything now unless the shop does not accept credit cards which is rarely the case now. 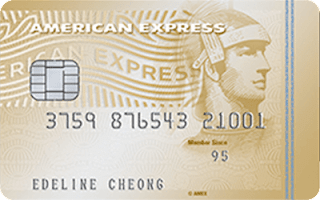 Another good cashback card is the AMEX True cashback card which also gives 1.5% cashback. AMEX has good perks and their customer service is top notch. Many offers they have linked up too for their customers. You can apply for both the SCB Unlimited and AMEX True cashback card here. This is a new card which I got as AMEX offered the card to me in exchange for my previous AMEX true cashback card. The previous true cashback card is similar to the SCB unlimited card so I opted for a switch to this krisflyer card instead to try earning air miles. Maybe you've heard of miles card or you have not heard of it. Initially, I was confused on how miles card work too but after some searching, I begin to understood it better. Its true when people say miles card earns better rewards as compared to cashback card. 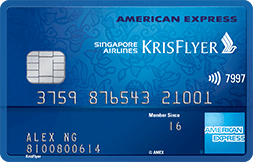 For this AMEX krisflyer card which I have, it earns 1.1 miles per $1 spend. There are also some spend which earns 3.3 miles for every $1 spend such as on Grab and Uber. Miles can be exchanged for free air tickets as well as purchase upgrades. You can apply for this card here. You can get 5000 free bonus miles on your first spend (any amount) and first year annual fee waiver. The third card I have is the Safra DBS credit card. There is 3% cashback on groceries, all online spend and also all contactless payment. The only issue here is you can only get this card if you're an existing Safra member. I applied for Safra membership during my NS days so I still have the membership until now. There is no annual fees for this card as long as you remain a Safra member which is not expensive to be one. Its just $270 for a 10 year membership but of course you have to be an NSF or NSmen in order to apply for membership. You can apply for this card here. After all the spending I have on my 3 credit cards, I pay all the bills in full every month using my OCBC 360 account. With the salary credit plus the 3 credit card bill payment, I can get 1.50% interest on my savings. This is what I do to get close to $100 every month on interest alone. There is another card which I think is good for those who frequently eats out or enjoys spending on entertainment. This card gives 16% rebate on dining and entertainment on weekends. You can also get 3% rebate on online, fashion and travel spend. In collaboration with Singsaver, they are also giving away one year LiveUp subscription plus 3 Free complimentary Gym classes from GuavaPass. For the gym classes, you can choose from Yoga to Kickboxing, Spinning to Dance, CrossFit to Pilates! You might ask what's LiveUp subscription? It is actually a membership programme started by Lazada and Redmart together with other online services. You can get discounts and special deals from Lazada, Taobao, Redmart, Uber, Ubereats and the membership even included a 6 months subscription of Netflix. This promo applies to the SCB Unlimited card, AMEX True cashback card, UOB Yolo card and some other cards as well. You can check out the cards available here. Credit cards have worked well for me so far. I will always pay my bills on time to avoid the high interest and the late payment fees. I did miss my payments once and was charged a late fee but just one call and they waived the fees for me. If we really cannot pay up, the fees are really high so it is important to control our spending if we were to use credit cards. Never spend any money which you are not able to afford. This will get you into more trouble than what you could imagine. However, when used wisely, credit cards can be a good tool to better manage our finances. 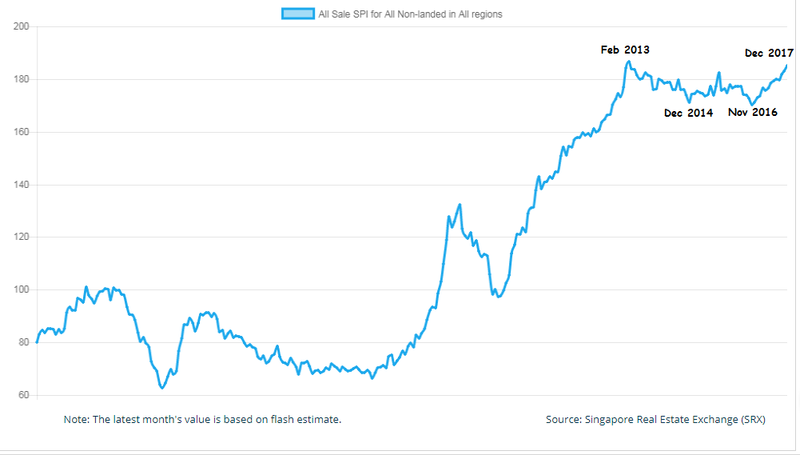 I have been monitoring the Singapore Savings bonds for quite some time now since its launch in 2015. The interest was not that attractive to me in the past until now when I notice the first year interest for this month's SSB is at 1.55%. This is higher than most fixed deposits currently and definitely a good place to park extra cash in. What is so attractive for the SSB is that it is capital guaranteed so there is no risk of losing your capital. There is also the flexibility to redeem the bond every month so we do not have to lock in our money inside for one year like what is required for fixed deposits. This presents a very good opportunity to get higher interest while still maintaining the flexibility for our money. The below table shows the interest for February 2018 SSB which will be issued on 1st Feb 2018. As we can see, the 1st year interest is already at 1.55% and if we keep our money inside longer, the interest steps up as well. The 1st interest payment will be made on 1 Aug 2018, and subsequently every six months on 1 Feb and 1 Aug every year. Apply through DBS/POSB, OCBC and UOB ATMs and Internet Banking, OCBC Mobile Application from 7.00am - 9.00pm, Mon - Sat, excluding Public Holidays. On 2 Jan 2018, these channels will be open from 6.00pm to 9.00pm. CPF and SRS funds are not eligible. How to redeem the SSB? As mentioned earlier, there is a flexibility of redeeming the SSB every month just in cash you need the money. Similarly to buying the SSB, you can also redeem the SSB through the DBS/POSB, OCBC or UOB ATMs, or online through DBS/POSB’s Internet Banking portal. The redemption period opens at 6pm on the 1st business day of each month and closes at 9pm on the 4th last business day of the month. Redemption proceeds will be paid by the end of the 2nd business day of the following month. Do note that the SSB pays interest every 6 months. If you redeem your bond when there is a scheduled interest payment, you will receive the scheduled interest together with your redemption amount. If you redeem before the scheduled interest is paid, you will receive a pro-rated amount, called the accrued interest, which is the interest you have earned but have not been paid. In essence, even if you redeem the bond early before the interest payment, you will still get pro-rated interest. I will be investing some of my money in the SSB for this month as the interest is quite attractive. Nowadays, the stock market valuation has been quite high and I will be looking to re-balance my portfolio to sell some of my stocks which are already overvalued. When we buy an insurance policy, we hope that we can activate the policy and make claims when situation arises. However, there are times when we realise that actually the insurance we buy cannot be claimed as fast as we hope for or could not be claimed totally at all because of some terms and conditions which were not made known to us when we had bought the policy. 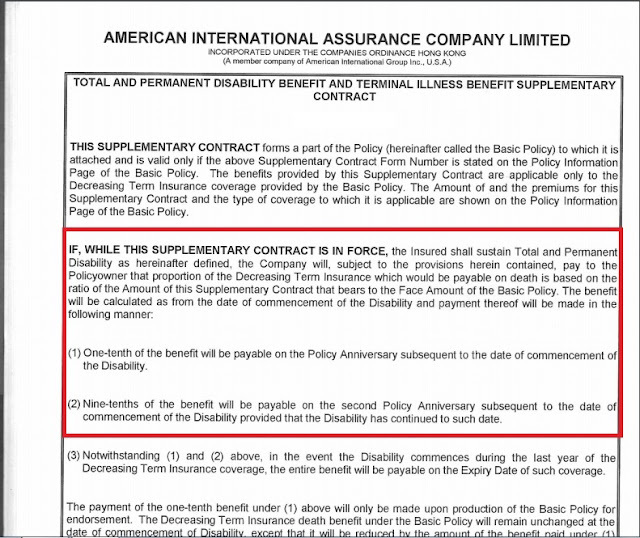 It has been brought to my attention that the reducing term insurance from AIA is not easily claimable in the event of total permanent disability (TPD) or even terminal illness. I'm not sure if this is the case for other private insurers but in this post, I will focus on the reducing term insurance from AIA and its limitations. This is shared based on my own experience claiming for the benefits of this policy and the policy contract which I have managed to obtained. If you're using CPF to pay for your HDB flat currently, it is compulsory to be insured under the home protection scheme (HPS). You can opt out of the HPS if you have other term insurance from private insurers to cover your mortgage in the event if something happens. The HPS is a mortgage reducing term insurance to cover your outstanding mortgage on your HDB flat in the event of death, TPD or terminal illness. The first image is the old contract from AIA for its decreasing term insurance which was bought back in 2003. The second image shows the new contract which is obtained in 2017. If you notice, the contract terms are the same. The red box in the image above shows the total and permanent disability benefit. 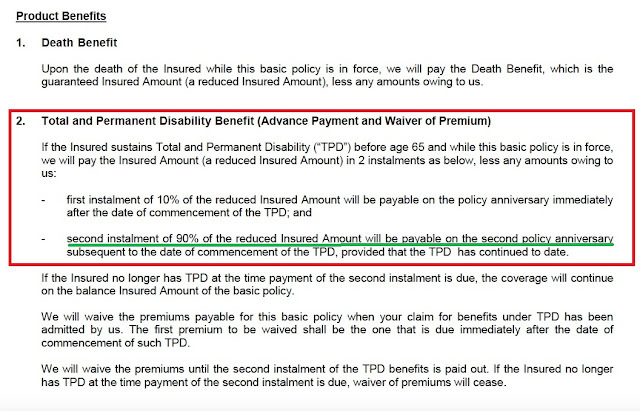 If you notice, 10% will be pay out on the first policy anniversary and the policy can only pay out the full insured amount at the second policy anniversary as indicated by the green line. 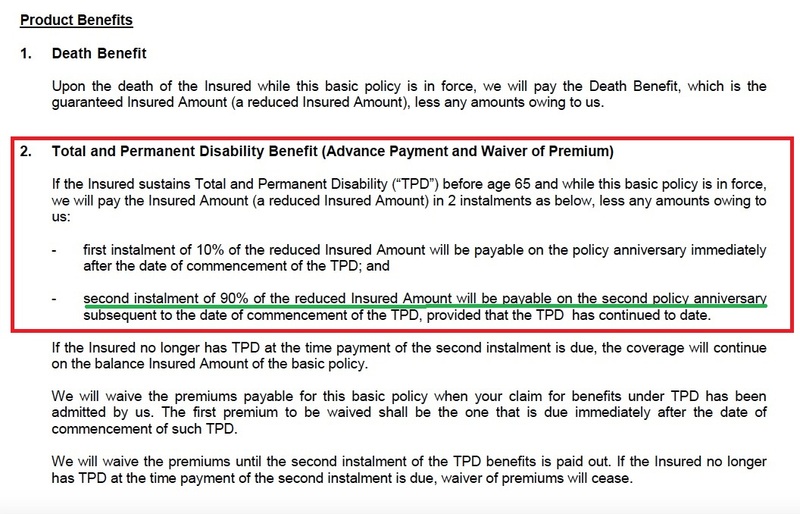 This means that if you are claiming for this policy due to TPD, you have to wait as long as 2 years before you can get the payout. The problem is if you have an outstanding mortgage which cost thousands of dollars a month and you had some illness or accident that caused disability, most likely you will not be able to work and lose your income. Your family remembered you had this mortgage reducing term insurance but only to find out that they have to struggle to continue paying for the outstanding mortgage for another 2 years before they can claim from this policy. This is going to cause a lot of problems later. Is HPS a better choice if you own a HDB? For the HPS, which is a mortgage reducing term insurance administered under CPF board, it might be a better choice for HDB flat owners. 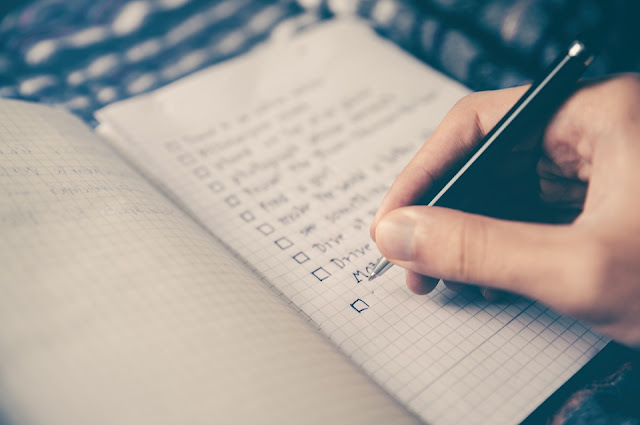 If you own a private property, you'll have to get a term insurance from a private insurer so make sure you check the terms and fine prints before you purchase one. The term insurance I bought from Aviva doesn't need to wait for the second policy anniversary to payout for TPD. It just need a standard 6 months continuous TPD to claim for the benefit and the assured sum will be paid out in one lump sum. Back to those who own a HDB, the HPS protects us and our families against losing our HDB flat in the event of death, terminal illness or total permanent disability. The HPS does not payout in cash like how private term insurance does. The HPS will offset whatever outstanding mortgage loans instead. The claim criteria has also widened where CPF members with terminal illness and total permanent disability but are still able to work will qualify for claims under the Home Protection Scheme (HPS) and Dependants’ Protection Scheme (DPS), after Parliament passed changes to the definition of “incapacity” under the CPF Act on 29 February 2016. This was also reiterated by Mr Lim Swee Say, Minister of Manpower, on 8 May 2017 in a written reply to a question in parliament. No matter what, having a mortgage term insurance which can only payout in full in 2 years is really a long time. Most TPD benefits just require 6 months of continuous permanent disability to claim the benefit. I am disappointed that the AIA reducing term insurance can only payout fully on the second policy anniversary. If you're considering to get a mortgage insurance for your property, do take note of the contract policy. If you already have a mortgage insurance, you might want to take a look at the contract terms too. 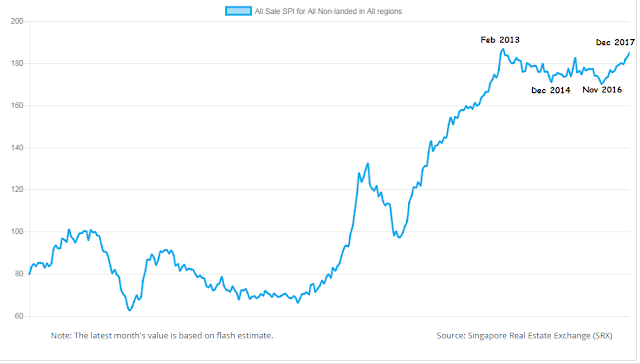 Most of us would know that housing prices is rising again in Singapore. The sales of new private homes are also going up where we see more and more people getting interested to buy properties now. This seems to be the right time to purchase a property at the right price and also when loans are still cheap. The following chart shows the SRX non-landed private property index from January 1995 to December 2017. We see a dip in the property market after the high in February 2013. The lowest price recorded was in December 2014 and November 2016. At current prices, it has almost reached the high back in February in 2013. It seems like the property market may breakthrough that level and continue to go higher soon. This explains why many people are entering the private property market now hoping that prices will continue to go higher. For HDB, it is a totally different picture. Resale prices of HDB seems to be continuing on a downtrend after falling from the high in March 2013. The regulations for HDB flats such as the 5 years minimum occupation period, the limitation of loans to 30% of your gross monthly salary, the maximum loan tenure of 25 years as compared to 30 years for private properties and the restrictions of not being able to rent out your HDB flat even if you purchase a private property makes it hard for the prices to go up. This is in line with the government's push for affordable public housing in Singapore. I don't see HDB as an investment at all because the main use of it is still for personal accommodation. However, I do foresee that private home prices should continue to go up moving forward with better economic outlook. On the other side, many people would have already bought a property previously. If you've bought your private property at a high back in 2013, the good news is that prices are going above that soon. For HDB, its a different story. With better economic outlook and rising property prices, interest rates are rising as well. If your housing loan is still currently on a floating rate package, its time to take a look at it before it creeps up. 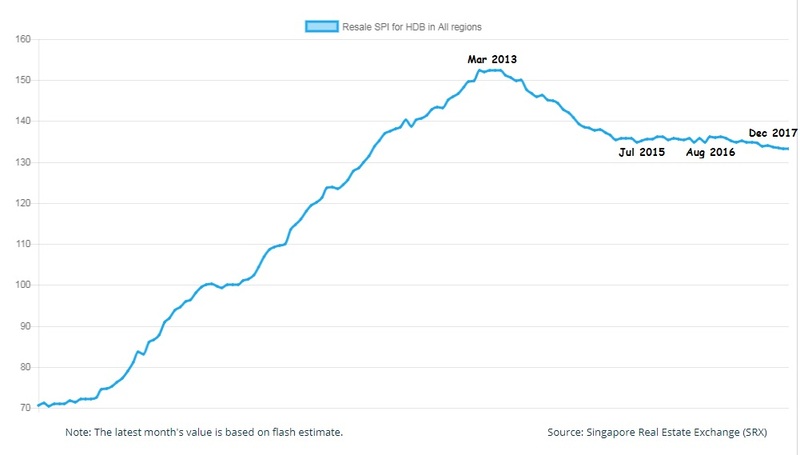 The SIBOR, which is the Singapore Interbank Offer Rate is the most commonly used benchmark for housing loans in Singapore. The 3M SIBOR now stands at 1.42% and the 12M SIBOR is at 1.66% as at 5th January 2018. You can refer to the official SIBOR rates here. The 3M SIBOR has increased more than 0.5% from the previous low. Interest rates will surely go higher from here. There is no doubt about that. Its just a matter of time interest rates will increase. With the US Federal Reserve hinting on more rate hikes and stock markets across the globe rising to record levels, interest rates should not be remaining low forever. How Much Your Loan Instalments will Rise? If you have a $300,000 loan, a 1% increase in interest rates will result in your monthly instalment increasing by close to $150/month. That is additional $1800/year. For a $500,000 loan, an increase in interest rates of 2% will result in your monthly instalment increasing by about $500/month. This is $6000/year. The higher your loan amount, the greater the impact it will be. Don't forget that the norm for interest rates were about 3%-3.5% in the past. We should always be prepared for this to happen. Fortunately, before the rates rise even higher, we can always refinance our home loans to lessen the impact at least for the next few years. I have worked with banks in Singapore for many years now and always on the lookout for the best loan packages for everyone. I'm not sure when this fixed rate package will be revised as many banks have already adjusted their fixed rate package upwards in the last few weeks. This is the last one which still has attractive rates. For those looking to buy a HDB flat or a private property, now is a good time to look at it. If you need assistance in your property purchase such as knowing your loan eligibility or not sure what's the process, you can email me as well. Any other questions you have, I'll try to help as much as possible too. 2018 came as a bad start for me as I experienced the loss of someone close to me. You can read this episode of my life here. My world view has changed because of this. Nevertheless, I am still living in this world and will still be setting my goals for this year. Life is really short and this has kept me thinking what kind of goals should I set for myself this year. I should be asking what kind of thing I want to do so that I do not take life for granted and make an impact as much as possible. This sets the directions for my goals this year. The first goal which I want for this year is to help more people. There are many ways to help people but the best way is to enjoy doing it rather than helping for the sake of helping. When it comes to helping people, most people think of volunteering. While that is one way to contribute back to society, we can also help people through our own life. For instance, blogging has allowed me to help more people than I can ever imagined. Since the start of my blog, I've replied to all emails as much as I can to answer any questions which readers might have. I enjoy doing it because I get to help someone out there. For the year 2018, I will continue to do that and reply to all emails which anyone sends asking for advise or help. I also thank the readers who have contacted me to tell me how my blog has benefited you personally. This keeps me going as the motivation of this blog is to help as many people as possible. I have also helped people through my expertise in housing matters. Since 2 years ago, I started a free mortgage advisory service on my blog where I personally advise people on housing matters including how much loan one can take and also the best loan to take for housing. I also work with law firms to do the conveyancing. I am happy to say that I will continue to do this for this year. I will continue to give my best advice for any housing matters. Lastly, I'm thinking of setting up additional complimentary services to alleviate the pain and problems which people will normally face on another aspect of life. This is a project in progress and will be revealed when its ready. Yes life is short and this made me want to experience life as much as possible. I've done many things in my close to 30 years of life but I want to set myself a goal to do something I've never done before this year. Honestly, I have no idea what I really want to try or experience but I will give it a good thought in the next few months. Hopefully by the end of the year when I review back my goals, I can then write what I have done differently in year 2018. Relationships become even more important after the death of a close cousin of mine. I still remembered the last words I told him was to meet up after he comes back from his overseas trip. In the end, he never made it back... It was quite a shock to me. There are so many relationships which we may take for granted especially our family members. I always value family a lot because as time goes by, I realised my parents are getting old and time is running short. All of us have limited time in our life. With work taking up most of the time in life, what we are left with is just that few hours a day to spend time on friends and family. Not forgetting spending time with our love partner if we are attached or married. With limited time, the key is spending quality time with our loved ones. This include friends too. Quality is the key for me this year as I refocus to build quality relationships too with friends and family members. Money may not be everything but everything needs money. I'm still on a mission to replace my active income as much as possible so that I can get more time by making money work hard for me. To have the freedom of time to do what we love is always a dream for many. To make it happen, it requires deliberate planning and execution and patience to see through it. Because of certain things that happened, money is needed more than ever before. Even though my goals is not just to make money for the sake of it but it is to make sure there is enough for the future. In 2017, I manage to create $19k+ in passive/other income. For 2018, I think it would be good if I can just maintain it. You can read this post on how I manage to create the $19K+ passive/other income. Lastly, and the most important one, is to plan for the future with my partner. We are still in the process of trying to get a flat and also trying to plan for wedding and all the necessary stuff for our future. It has not been an easy time in 2017 and even going to 2018 as many things happened. I pray that 2018 will be a better year for me as well as my loved ones. This sets the direction of my life in 2018. This week has been an extremely tough week for me as well as my family. On new year's eve, I received information that my cousin could have got into an accident. Moments later, his passing away was confirmed which was a devastating news for me personally. He was only 27 years old and just celebrated his birthday a few days before the incident happened. This cousin was close to me, very close in fact. 2 days before his passing on, we still communicated on the phone and I said that when he comes back from his overseas trip, we can arrange a time to meet. But, he didn't manage to come back. The whole of this week was very tough. We tried to help out for his wake as much as possible. It was an emotional 3 days as his friends came one after another. Hundreds of them came from all across Singapore. Some gave their eulogy and I could sense my cousin made an impact in his short 27 years of his life. It is painful to lose someone close to you in life. We grew up in the same neighbourhood together for the past 20 over years. I would go over to his house and he to my house as we stayed quite nearby. A lot of things I do now still reminds me of him. Even going to the gym this morning reminds me of him because we went to gym together before and he would always encourage me to do more sets and tell me how the exercises should be done. We also had late night chats at one of the benches at the sports complex. Its hard to forget someone close and really now I understand what it means to lose someone. My cousin was special. He was passionate about finance and investments as well. We often talked about life, about investments and the dreams he had to have his own business. Knowing I had a financial blog, he got me involved in the investment club he was in at NTU. I attended a few events organised by NTU interactive investment club back in 2015 such as FINEX which is a financial amazing race style event, Singapore Financial conference and lastly the National Cashflow competition. Some of you may have attended these events too as I posted it on my blog. The national cashflow competition used the financial boardgame cashflow 101 for many years but some of the concepts were not that applicable in the Singapore context. One of his NTU professors whom he respected a lot came for the wake. The professor said he was a special student, often standing out among the class. 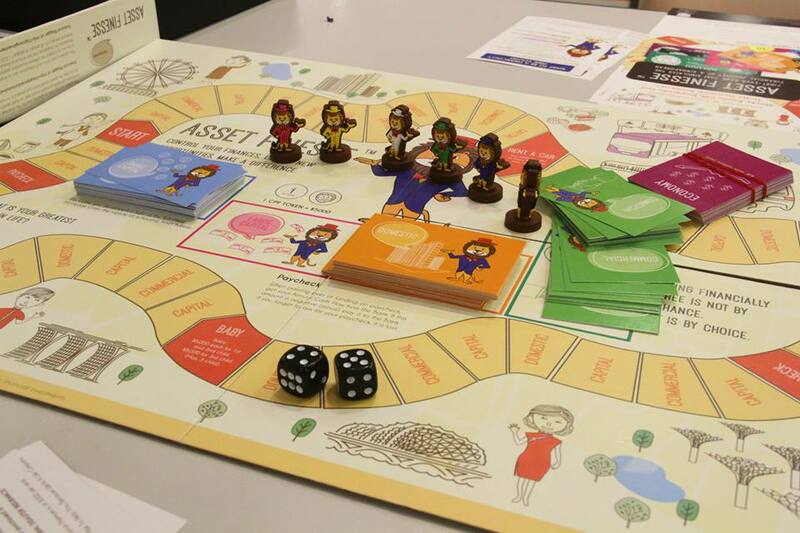 When the professor said maybe we should have a Singapore version financial board game, my cousin was quick to take up the task and created a whole new financial board game for use for the competition. To this day, I'm impressed with the concepts he came out, the game flow and the many late nights he spent just to complete the board game in time for the competition. 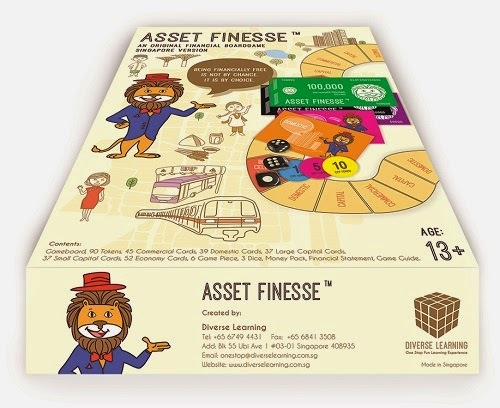 The financial board game was named Asset Finesse which means having the skills and ability to manage our assets with ease. I was told by the professor that the game is still used in the national cashflow competition till this day. He has indeed left a legacy behind. 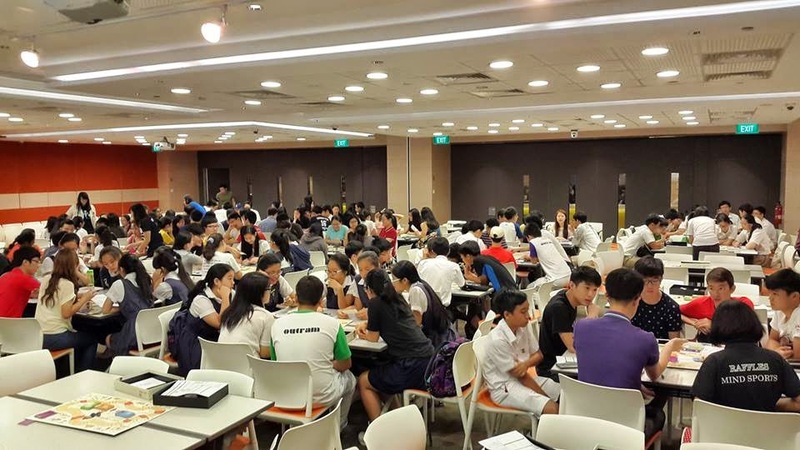 As you can see, the board game was played by hundreds of students all across Singapore, 500 to be exact every year. I am proud of the achievements he has made. Even though he is no longer in this world, the ideas he left behind is still making an impact. He was also very hardworking in his life. He made it to the deans list during his studies in a local Polytechnic. In army, he made it as an officer. In University, he was actively involved in the investment club and still got a first class honours for his degree despite his busy schedule. At work, he got a scholarship from Spring Singapore and started work in an SME under their management associate program. For his life, I would think he has lived a fruitful one. He went to Indonesia to start a business for 6 months and he managed to speak fluent Bahasa Indonesia in a short time. He also went travelling to many countries, making new friends and was also able to pick up and speak fluent Japanese. What do people really get for all their hard work? I have seen the burden God has placed on us all. Yet God has made everything beautiful for its own time. He has planted eternity in the human heart, but even so, people cannot see the whole scope of God’s work from beginning to end. So I concluded there is nothing better than to be happy and enjoy ourselves as long as we can. And people should eat and drink and enjoy the fruits of their labor, for these are gifts from God. And I know that whatever God does is final. Nothing can be added to it or taken from it. God’s purpose is that people should fear him. What is happening now has happened before, and what will happen in the future has happened before, because God makes the same things happen over and over again. Life is short. Experiencing this episode has changed the way I see life from now onward. Who would have expected that a young man in his 20s would pass away so quickly. Rest in peace my dear cousin and till we meet again in heaven.